Discussion in 'GPS Tracks - Central, Texas & Gulf States' started by Cannonshot, Feb 27, 2010. -the northern and southern units of the Kettle Moraine State Forest. 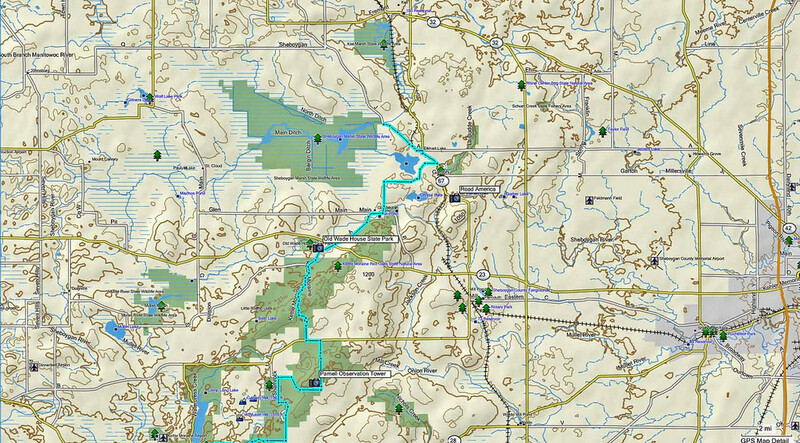 -some excellent motorcycle roads (twisties and elevation changes). -views of glacially formed lakes. The Kettle Moraine is made up of unique landforms that resulted from the retreat of the last glacier that ran through the neighborhood. The route is signed. Information about it, including a printable route sheet of driving directions, is in the following link. 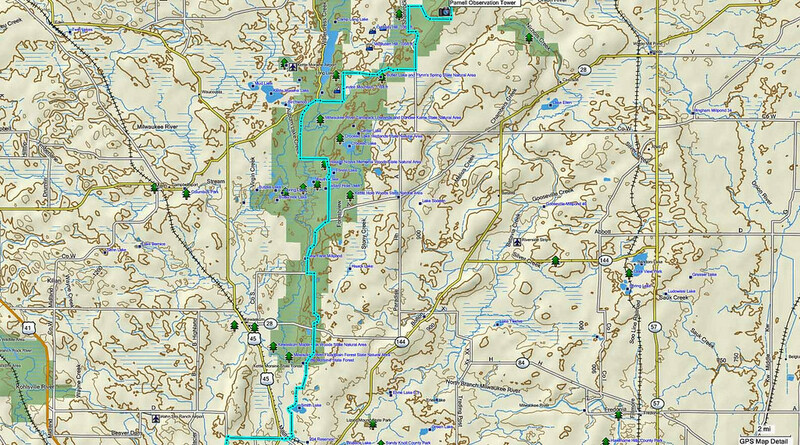 All I've done here is put it in GPS form to make the ride a little easier to execute. 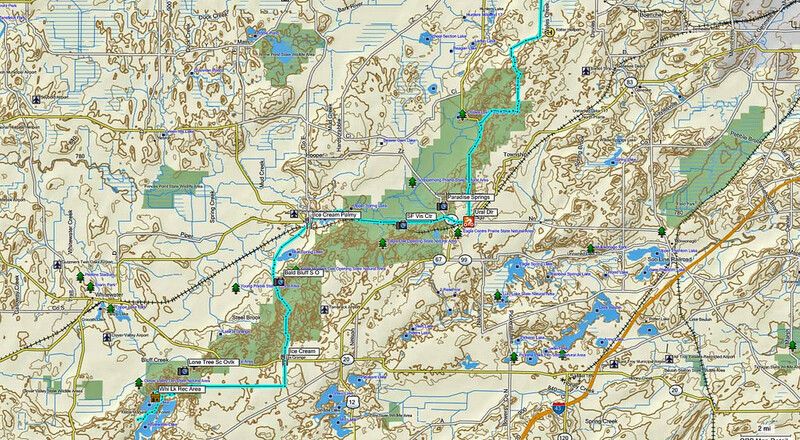 The file contains a single track of 404 points and a route drawn S to N of about 115 miles. To travel from N to S, just reverse the route. 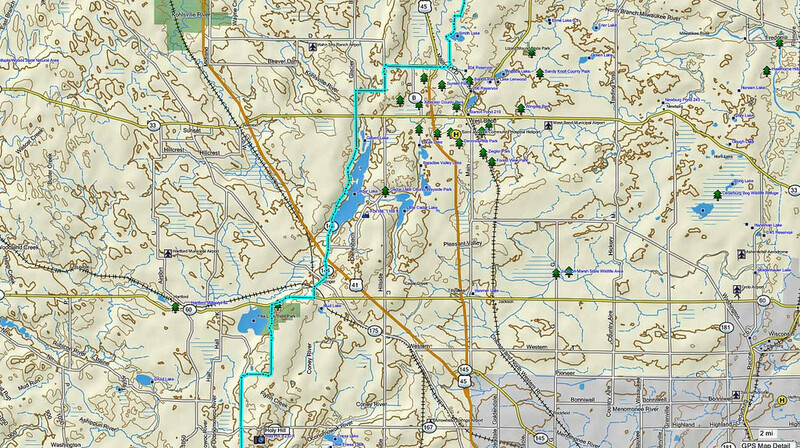 I added a few waypoints for interesting sites that include ice cream stops, observation towers, lookouts, and even a Ural dealer. Here are a few maps to give you an overview. I still can't post any tracks since the server change so just PM me an e-mail address and I'll send it out to you. Soon I'll be putting tracks on another server and will post the link for that. 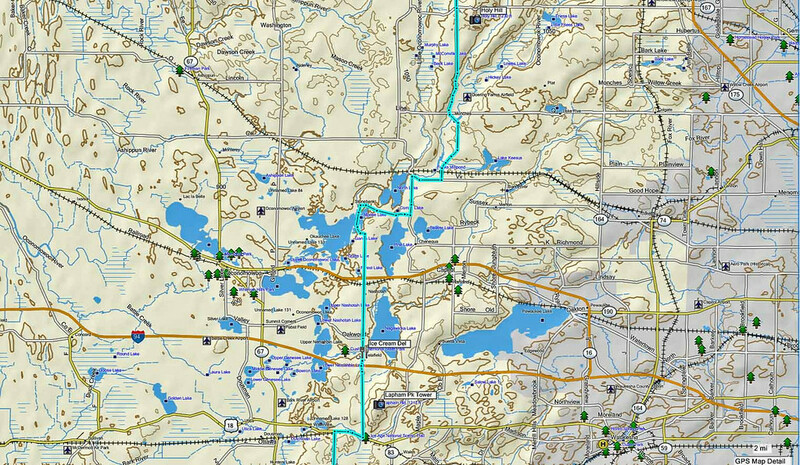 I have a few custom routes in this area that may be of interest in combination with this one or as a return route. They include the following. Two Rustic Roads patch qualifying runs. Kettle Moraine North and Lake Winnebago.